So I’ve been gone for a while. Absent from here, though there has been a lot going on (isn’t there always?) that I could be documenting. Instead, I’ve been, well, not here. The 2012 Olympics will always remind me of Chicago. Yes, I know they were actually in London, but we were on our family roadtrip to the Midwest for pretty much the entire Olympics, so my memories of the games will mostly be nestled in my brain with breakfast buffets, fun reunions with friends and family, a beautiful wedding between two special people and too much fast food. 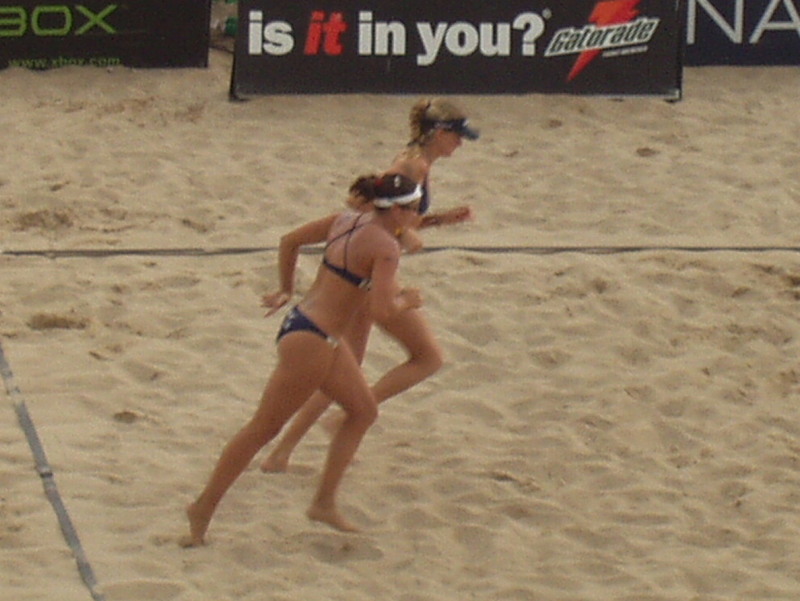 Actual pics from 2004 AVP tour in Chicago taken with my first-ever digital camera. And then I saw the news that she was, in fact pregnant, and during the Olympics was actually five weeks along. In her usual good humor and candor, she chalked up her “unreasonable” moodiness during the Olympics to that unknown-at-the-time fact. I’m guessing my absence has spurred some questions (or maybe just disinterest), but usually in the blogosphere, pregnant pauses just spur readers to move on. After all, the internet abhors a vacuum. For those still here, maybe on the edge of your seat, maybe not, perhaps wondering, formulating, ruminating, anticipating the delivery of my next line, or perhaps just wondering where this rambling post is taking you, I am expecting #4. About the same point in my pregnancy as Kerri Walsh-Jennings, so I’m sure she and I will be hanging out sharing some NA beer and planning playdates sometime soon. So hey, Kerri, call me. I’m totally available for 2016. I’ll just need a sitter (or two).